The ingress of the Sun into the constellation of the Goat Horned One on December 21st is where light begins to emerge from the darkness. It’s the Time where we a given a glimpse of what we are searching for. Our ignorance or failure to notice is for a brief moment shown the Light, awaken from your slumber. The War against sleep takes its first breath, slowly ever so slowly we begin to arouse. Around the Globe each nation will now be answerable to this Ingress chart in their given location. Since October 2012 the Cosmic Stella patterns of the continuum of planetary cycles have been advancing with complicated arrangement. A lingering Yod between father and sons, Saturn – Pluto, and Jupiter has been holding court for some time. This is not a usual or casual meeting, in fact quite infrequent and with Jupiter retrograding and almost stationary has kept a slower moving Pluto and Saturn within its mist. Ever since the November Solar and Lunar eclipses things have gotten more intricate with Mars co-joining Pluto. Then we have what may be referred to as a malefic enclosure of Saturn-Node/Venus / Sun /Mercury/Pluto –Mars, with the Moon translating the respiratory between the enclosure. Mercury has been moving ever so slowly at the same time having stationed at 4 degrees of the Archer Sagittarius, where he finds it uneasy to contribute to reason and apposing at the apex is Jupiter, who is also acting indifferent to he’s nature. This is coupled with Mercury in a prolonged square to Chiron and Neptune and with Uranus in the Aries the Ram also at a standstill the prospect of finding an understanding with each other will be arduous to say the least. This ongoing apparent challenging Time is at its best supposed to highlight our shortcoming as Humans, which is to show us a picture that we are not are custom to. This Ingress or cardinal marker will unfold differently for the individual nation and how they respond will also depend on their national charts. As we move into 2013, which is expressed numerologically as a 6 world year and described astrologically by a correspondence to Venus we will encounter many more of these very problematical planetary patterns. Shortly I will highlight some of the Good Bad and ugly we may stumble upon. A special New Moon awaits; On November 14th @ 8:07:59hr AEST, Cairns Australia, a Total Solar Eclipse will take place. This eclipse will fall @ 21 degrees of the Scorpion. The eclipse is astronomically numbered Saros 133 or 15 north astrologically. This 15 north series generally brings positive results. Here in Australia a large gathering is expected, hopefully the atmospheric conditions will enable them to get a glimpse of this rare event. Looking at the chart set for Cairns where this large group of people will assemble to witness this stellar event we see 28 degrees of Sagittarius rising. And as the last degrees of the Archer appear on the eastern horizon the traditional ruler of the Scorpion Mars will rise. Mars will be at 27 degrees of the Archer and as such will also be in his own confines, which means He can do as he pleases! So what will this new Moon eclipse bring around the Globe? Well the Scorpion is not renowned for its openness, rather its secrecy. A colourful depiction or narrative would be dark and secretive toxic waters where transformation begins and truth rarely emerges. As mentioned Mars is the traditional ruler with modern association going to Pluto. Both these planets are masculine and active, and when their business is not conducted according to beneficial deeds they are seen as control freaks. So with Mars in the last degrees of Sagittarius and Pluto in Capricorn we should expect to hear of religious, philosophical idealism. Past self-indulgent, lustful sexual encounters that have been concealed or coved up. Those who have elected to self preservation and not taken moral responsibility will most likely be challenged as retrograde Mercury and Jupiter regress over past contestations. As the lunation waxes and the Light of the Moon grow Mars will join Pluto and on November 29th a Full Moon Lunar eclipse will occur @ 6 degrees Gemini/Sagittarius. This is an exceptional Lunation as a Yod is formed. A Yod is acknowledged as the Finger of God. This Yod involves a conjunction between Saturn and Venus and then a sextile to Mars/Pluto, forming Quincunxes to the Moon! 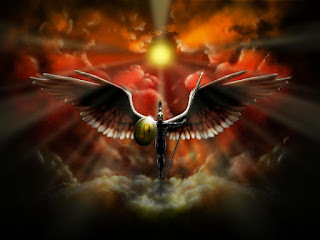 The October 15th 2012, lunation (New Moon – Full Moon) will bring unexpected news from the US. This information will most likely convey reports of a feminine nature. Covert intelligence, gossip or espionage activities are some of the reports to expect. Other rumour may involve assets and property. Overseas involvement will feature strongly and as Mars travels through the image of the Archer/Sagittarius, tis sure to ignite tensions....Arrows of accusations are abound. This lunation will bring shadows of darkness as the Sun will be depressed by the weight of Saturn. And as the Full Moon approaches women will notice the stench as Mars Flees the scene and leaves a odious burnt trail of terror. Confusion will be written with perplexity and bewilderment and people will ask why. The tension will be very apparent on voting day November 6th as Mars reaches boiling point and Mercury stations confused, the flame will be hard to extinguish. Zeus/Jupiter will be called upon to offer his judgment, but will fail to appease the trouble. The recent provocative callous verbal abuse by 2GB radio host -Shock-Jock, Allan Jones, about the current Australian Prime Minister has ignited the political moral debate. The ancient Greeks excelled in their understanding and portal of human behaviour. A Greek Theatre performance was a Mirror of this earthly demeanour. They assigned communication or verbal expression to Hermes. The more ruthless Romans in their opinionated articulation allotted Mercury the heavenly dispensing of verbalization. The Mundane derivation, expression allotted to Mercury was, discursive reasoning. The expression speech was seen politically as a Contestation to destabilize by accusation. When we look at the charts associated with this ongoing conduct, I say ongoing as politically this deportment has been apparent for quite awhile! We can begin to understand the theatrical performance of planetary dance. In the Stoney rectified Federation 1901 chart, Jupiter the lord of whole sign 9th domicile (philosophy, law and publishing and broadcasting) is the dispositor of the federations natal Mercury. Natal Mercury rules the 3rd whole sign house along with the 6th. The 3rd domicile is communication and primary education, and the 6th house in mundane expression is the Labor party or working class. The Liberal’s are assigned the 11th domicile, friends of the government or commercial industry. As of October 4th 2012, Jupiter the judicial arbitrator stationed and is now going backwards in motion, retrograde. Jupiter stationed at 16 degrees Gemini, this station has I believe ignited the verbal contestation. Transiting stationed Jupiter came to rest upon the federation natal Pluto, which opposes the stellium of planets in the federation’s 9th house. Also the transiting Moon in this station chart (people’s emotions) was at 00:45’ of Gemini conjoined to federation south node. Along with this is the fact that on May 21st this year a solar eclipse occurred at this 00:20’ Gemini Moon degree. The planetary theatrical dance this year has been very vocal (Gemini) with regards to Mercury, as I have mentioned in many other references. Looking at the chart of 2GB, which according to the source given to Ed Tamplin is 8:00pm on August 23rd 1926, we can also begin to see an astrological correlation with regards to the communicator Mercury. The current 2GB natal solar return chart has return Saturn/Moon/Mars/ MC conjoined in the 10th whole sign house. Is it any wonder they now find them self’s in hot air! If the natal time quoted is correct then the Station is now currently in its 86th profected year. The Gemini 3rd house domicile lord for this current year is surprise, surprise, Mercury. Natal Mercury is in Leo (the Lion will roar) in the whole sign 5th square natal 2nd house Mars in Taurus. So has this tumultuous action ended? Not if the play, theatre, goes according to the allotted heavenly program! 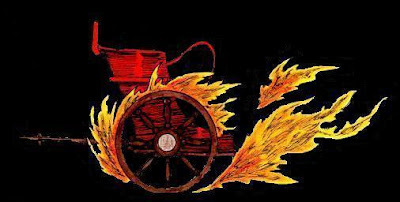 You see this seems to be just stoking the Fire’s, the air is about to get a lot hotter... Firstly 2GB’s 8th Scorpion whole sign house lord is Mars, along with Pluto. The 8th is other people’s money (sponsors) and while they have what seems to be an attractive 2nd and 8th relationship, they do have the unfortunate placement of two Malefics in these houses. And Saturn (which is in the natal 8th) the planet that deals out punishment for Ignorance or failure has just entered this domicile for the next 2years. But wait there’s more going on here which may result in some very interesting outcomes! In November there will be an eclipse on this natal Saturn. And again in May 2013, opposing the natal Saturn. This May eclipse seems very destructive for the broadcaster as it features a stellium of planets driven by Mars. Cloak-and-dagger enemies can be found lurking in the background! So we may hear the sounds of silence thrust upon this Shock-Jock yet! For approximately 546 days the Serpents of fate Rahu the Moon’s north Node & Ketu the Moon’s south Node have traversed the signs of the Archer, Sagittarius & the Twins, Gemini respectively. This regression of the Nodes began on March the 3rd 2011, and will end on August 30th 2012. What are the Nodes & what do they show us about our journey here on planet Earth! At one time ascending North to cross it from the South. And the other descending south from the North. This journey takes approximately 14 days, with the Nodal movement regressing along the Zodiacal ecliptic at an average rate of 3 minutes per day or 19 degrees 20’ per Year. In Antiquity “The God (Gods)” were identified with immortality. They were said to take delight in - the Nectar, (Honey) elixir of Life. Or alternatively they possessed some secret, be-it potion or axiom, truism or enchantment that allowed them to continue this superior position they held in their realm. Conversely “The Demons” were always trying to gain access to this privileged knowledge. Scheming or plotting ways to obtain this privileged knowledge. These stories are the origin of the narrations from which springs forth the Chronicle of Nodes. In the Vedic version the Demon on learning that if he/she somehow disguised himself/herself as a God that he/she could sneak by and partake of the Nectar and hence gain immortality, which he/she did. On hearing of this the “Other privileged gods” the Sun & Moon, complained that this was not too be! So Vishnu (Supreme Lord) was forced to do something to appease the privileged. Vishnu drew upon the sacred sword and severed the Serpent in two leaving the two halves. The Head becomes Rahu (North Node) and the Tail Ketu (South Node). Now as the Demon (Serpent) had already drunk the Elixir the serpent gained immortality and could not be destroyed. Hence Darkness was seen to come twice a year to the World! The ingress chart for the Nodes entry into the bicorporal or double bodied signs of Sagittarius & Gemini in March 2011 shows a late degree Aquarian transiting Moon co-joined to Neptune. This could be described as a fanciful dreamlike thought, an imaginary subconscious disposition. Conversely, Sagittarius and Gemini give a sense of ‘What’s right and how do you know that!’ The Archer is known for shooting Arrows and the Twins are exactly that, two sides of the story. For the past year and half across the globe we have witnessed the to and fro approach with regards to all worldly affairs. The results have been self evident as not much has been achieved. Financial and diplomatic affairs have suffered a continuous blame game, which is what one might expect with all that is going on in the heavens. Uranus has been playing tug a war with Pluto during this Time as well, causing heightened tension and power struggles across the Middle East. The Lunar Nodes will make their ingress into the solid or fixed Life and Death signs of Scorpio & Taurus. The resources of each nation, unit, body, being, person, individual or individual’s ownership will come under intense scrutiny. Can we share our possessions, at the forefront will be land and water resources. This ‘Will to Share’, will be tested and reinforced as the coming months show testament to this. Saturn the lord of providence and outcome is also set to change signs. Saturn will enter the Scorpion on October 5th 2012, and remain there for the next two and half years. Over the coming months Mars the lord of differentiation will encounter the north Node in Scorpio. There will also be a series of eclipses in the signs of Scorpio and Taurus, as eclipses are formed from the placement of the Nodes. The bonding of Mars to the north Node is not generally noted for a fortunate engagement, however if we apply ourselves to this sharing way of thinking we may just avoid this in differentiation or dissociation, severance, accusation and thereby avoid destabilisation of Humanity. This ‘Will to share’ is going to be a mammoth struggle as mentioned the signs of Scorpio & Taurus are fixed with regards to their modalities, ensuring that any compromise will come from extreme confrontation. A poignant Noble Time is approaching as the Royal Envoy Hermes Stations & notifies us! On July 14/15th depending on where you live, Mercury will Station @ 12 degrees 32’ in the Royal sign of the Lion- Leo. 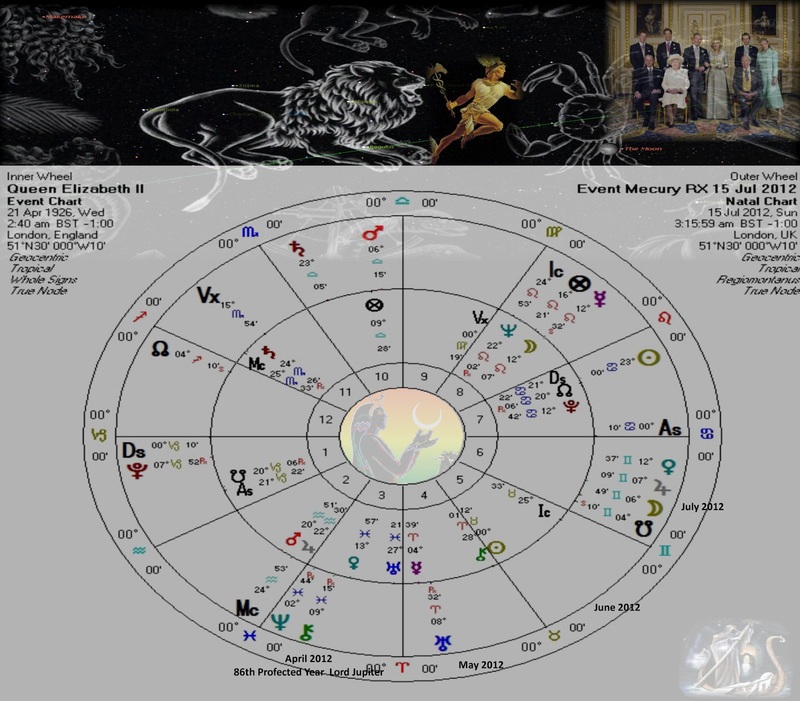 What also stands out too is Mercury’s station will have a major effect on Queen Elizabeth 11’s chart. Station Mercury will retrograde exactly on the Queens natal Moon. Elizabeth’s natal Moon is in the 8th whole sign house. The Regal Moon rules her natal 7th, whole sigh house. The 7th is the house of partners and in the Queen’s case -Husband. The transiting Mercury Station Moon is located in her 6th house co-joined to a weak Jupiter which is ruled by Stationary Mercury. Natal Jupiter rules Elizabeth’s 12th house, which can about bring loss or it can be expressed as the health house of the partner, as it is the turned 6th from the natal 7th. Mercury's station transiting MC is co-joined to her natal Mars/Jupiter. Furthermore this is the Queen’s 86th Profected year and the Year Lord is Jupiter. In Elizabeth’s 2012 solar return the solar return Ascendant is co-joined to natal retrograde Saturn and return Jupiter is square natal Mars/Jupiter. In addition Prince Williams chart also carries the Royal Leo signature with Station Mercury exactly co-joined to his Vertex in his natal whole sign 9th. And Mercury is Williams 30th Profected year Lord. And finally the Full Moon on July 3rd 2012 falls at 12 degrees 13’, Cancer, which is known as a Cardinal Lunar Station. One of the 28 topical Nakshatras, and as such announces to the Crowd/People of an impending Event. The Full Moon Ascendant falls at 22 degrees 57’ Sagittarius, which is the exact degree of Prince Charles’ natal Mars/Vertex. The transiting Full Moon is co-joined to transiting Pluto, signifying loss. With the transiting Full Moon- Sun- opposition /Moon/Pluto falling in the Queen’s natal 7th House on her natal Pluto. Rahu -The Dragon’s Head@ 5 –Degrees of the Archer –Sagittarius. Ok what’s all this jip- R–jayp! Well it’s not very often you come across this little Gem of an Astrological phenomenon! Here’s the deal- we should all know that the nodes of the Moon traverse zodiacally backwards along the Yellow-brick -Road, also known as The Ecliptic – the apparent path the Sun makes across the sky, and it’s where the moon crosses this either north or south that the trail or tail of the moon makes its mark. Another way of saying this is that the moon like the earth is tilted or inclined in its rotational orbit around the Sun. The moon is inclined at about 5 degrees and earth about 23 degrees. So as a result when the moon’s orbital plane meets the ecliptic it appears to station. And as a result the moons nodes actually gain zodiacal longitude, (orbeit -for a brief moment) which is opposed to its so called proper motion. And the earth for that matter never stations, but when it arrives at this orbital pass over, the ecliptic twice a year, we are at the Equinox –( Standing straight!) either of the two annual crossings of the equator by the Sun, once in each direction, when the length of day and night are approximately equal everywhere on Earth. The equinoxes occur around 21 March and 23 September. So that’s the astronomical explanation...but what does this actual mean astrologically, well some will tell you nothing at all, on the contrary from my prospective this is a huge statement being made by the Sky. Let’s think about this for a moment - it’s the moon that generates the nodes, (which are responsible for the causation of Eclipses, both Solar and Lunar) so it stands to reason that when the moon meets the nodes that this pivotal moment in Time. Selene (Greek for moon) has a chance meeting with the Serpent, which in mythology actually tricks the Gods – Vishnu. Hence in most western pop astrology books there is a reference to the south node and trickery....which when combined with the lord of the Twins-Gemini, Mercury, which is also referred to as a trickster. Hmmm! 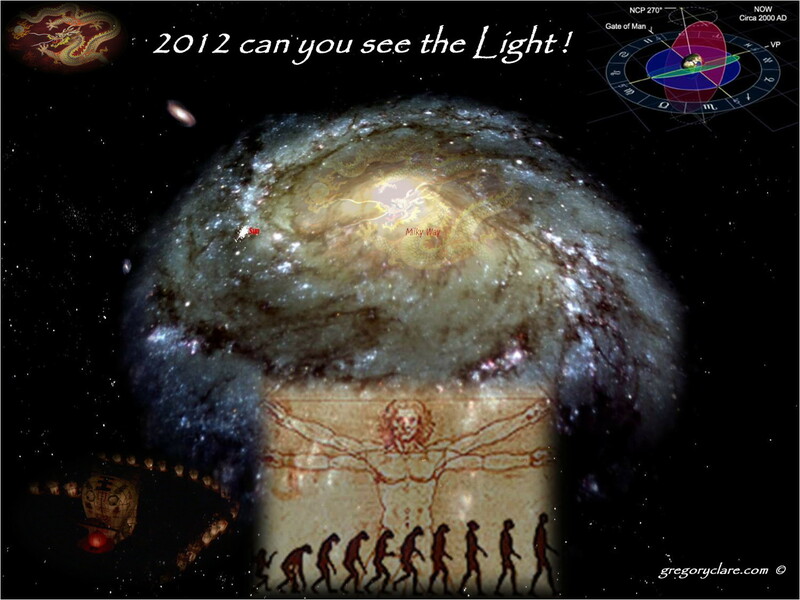 (this comes about from their astronomical behaviour) the picture is coming together. So let’s draw this image, the moon is emotional responses, Gemini /Mercury is communication –contestation, and the nodes are like meeting points, and the south node comes from the past, as does the moon. Now Mercury is in the Moon’s sign/Cancer, which is about holding onto something emotional attached to us....our mother so to speak. Something dear to our Soul...not Heart, that’s the Sun. Well we could potentialy bring in the Sun as the Sun and Moon did get together for an annular Eclipse while the south node was at this degree...Hmmm! So expect to meet with or discuss something of emotional significants from a past course of action during this Time, but be aware of any tricky that might show its hand. This is a rare moment in our travels through Time so the Astrological word or forecast is to try and stay conscious and alert. Make use of this opportunity to evolve and commit to your chosen path. Eclipse Season is upon us! This coming Astrological Month is traditionally described as Bicorporal or double bodied and is seen as the Image of the Twins-Gemini, The Place of Hermes-Mercury. 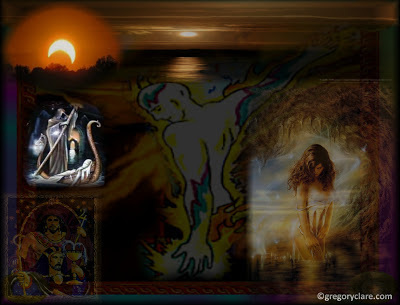 The Sun enters Gemini @ 15:15:31 UT Greenwich UK, on May 20th, 2012 and in the ensuing hours the will be a New Moon @ 23:47, UT, Greenwich. This will be a Special New Moon, as this Lunation is an Annular Solar Eclipse @ 00:20 degrees of Gemini, and as such is known as Saros 128, or Astrological numbered as Saros 14 South. This series commenced on August 29th, 984-os. 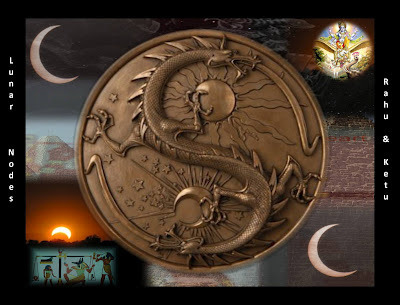 This Lunation is co-joined to the Dragons Tail or South Node and will reunite in some way with the past. As eclipses go this can be described as a fortunate or beneficial Time and may bring some form of success to mercantile activities commissioned from the Past. There is a definite sense of forceful self-motivated energy associated with this particular eclipse. However this so described favourable energy will need to be kept in check! As the Full Moon on June 4th, 2012, @ 11:11hrs UT, Greenwich UK, will be a test or contest – contestation. 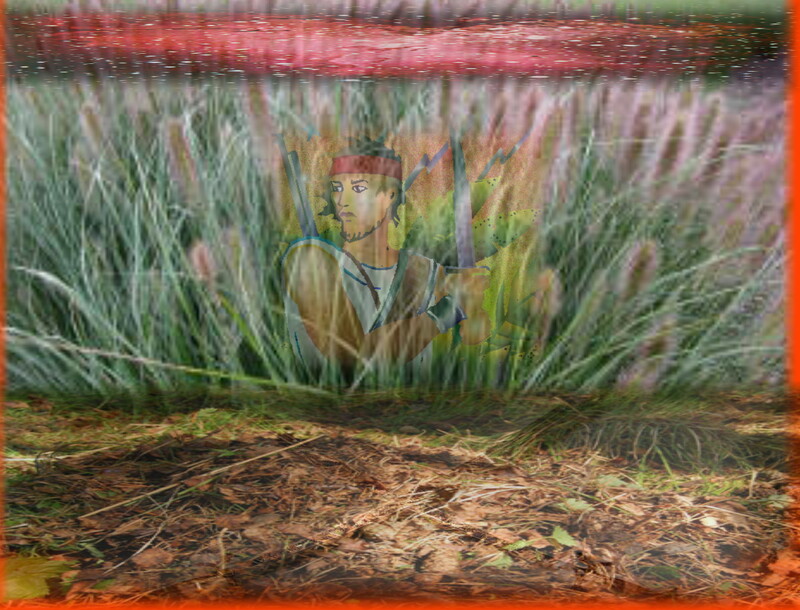 The Lunation falls @ 14 degrees of the Archer- Sagittarius. This Full Moon has a noticeable challenging energy associated with it. Expect to see some very interesting Events unfold on the Political landscape in particular those in the US and Australia. The Australian incumbent Government is in for one momentous Time as this Lunar Eclipse will fall on the Stoney – Australian Federation 1901, natal chart Vertex/Uranus –opposition natal Pluto and Eclipse Mars will square Eclipse Venus and activate a T-square. So expect the unexpected as far as the Australian political scene is concerned. And finally the month is highlighted with the Transit of Venus across the face of the Sun on June 5th, 2012, with the best viewing from Hawaii. 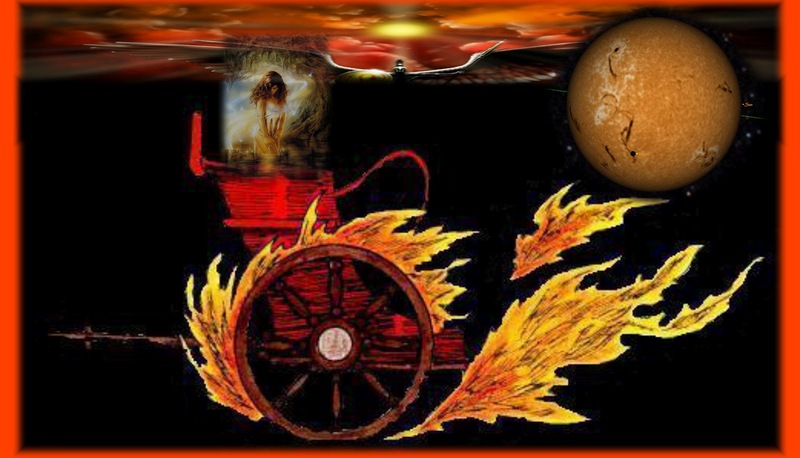 Aphrodite will ride her Chariot in the full Throne of Helios, will her shield protect her? Yes as she does have a Chariot with a suitable armour, 16 degrees of the Twins is within the confines of Aphrodite. There will be a winner! This coming Taurus New Moon on April 21, AEST, is an opportunity to put your plans into action. The lunation’s energy is thought-provoking and motivating for design, allowing for constructive ideas to be realised. There’s an invigorating strengthening oomph which will enable you to bring creative form to your ideas. A moment of frustration may surface around April 27, as emotions will be on display; try to remain focused on your goals. This small irritation will be quickly replaced by a vigorous and forceful consolidative approach bringing a, get-up-and-go to your plans. Powerful and exciting grounded enthusiasm will allocate your purpose. A careful and watchful approach should be taken around May 5, as this is a Time for narrow –minded outbursts from passed gaffes! Sunday April 15th- Finally after 81 days exploring the garden, Ares (Mars) picks up His sword and March’s forward! But He won’t be Home until August 24th. So watch out he’s a little tired and irritable after picking up sticks and leaves. All the methodical attention he’s being giving to detail has him feeling grumpy. A quick flirtatious frolic in the Scales (Libra) and some not so thought through partying may not be in his best interest. Watch for sudden outburst of misdirected enthusiasm and emotional frankness around July 10th. This will be a very volatile, unpredictable and potentially explosive Time for those who wield Power. Although it does also have the promise to bring sudden break throughs in dialogue if applied virtuously and correctly managed. A Weighing of scales, as Selene’s luminosity lights up the Night. Your inner most thoughts are now known to all - who wish listen! Reflection-Revelations, Astonishment and amazement as the Lunation lights up the Sky! Selene, Goddess child of Ge-Gaia-Tellus - pays homage to Helios as She receives the virtuous sacred Light. Helios moves into Exaltation, adorn the Scared Light! Be on guard - weigh up your thoughts – and watch for misdirected passion – infections are ripe! During the coming months it appears that storm clouds are looming over the US..... In particular they may affect the US – President! These ominous conditions will be set in motion from February 21, 2012. 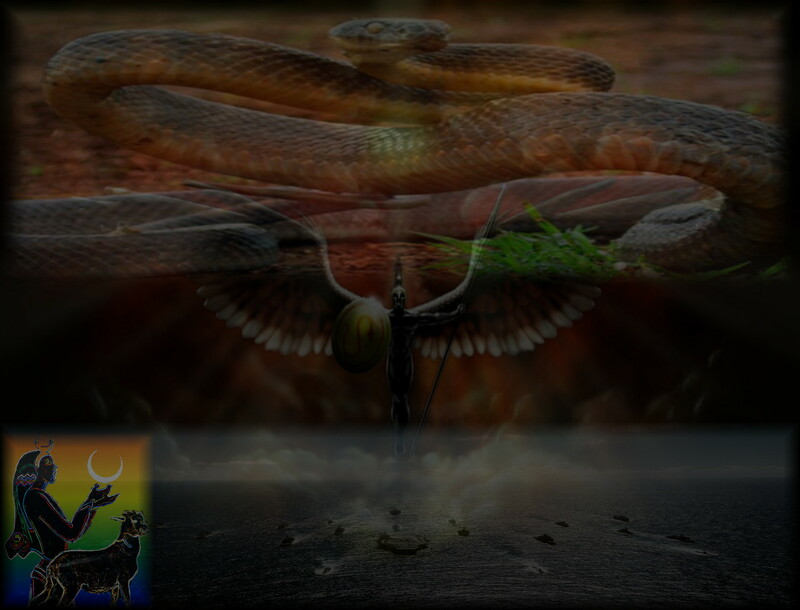 The serpents tail (Ketu) will lash outwardly sending a venomous torrent of excitable accusation, which over the coming months may fester and indeed have a flow on effect for months to come. Like all toxic poisons if not treated they may be lethal. The first reaction is usually to apply a tourniquet to stop the flow of contaminants reaching the Heart. We will be giving a clue to the way in which this pending storm may move around early March, with some noticeable signs March 7 – 8th. Then on March 12th the winds will blow harsh embers towards the capital. Difficult times ahead for the World Leaders! In particular the US! 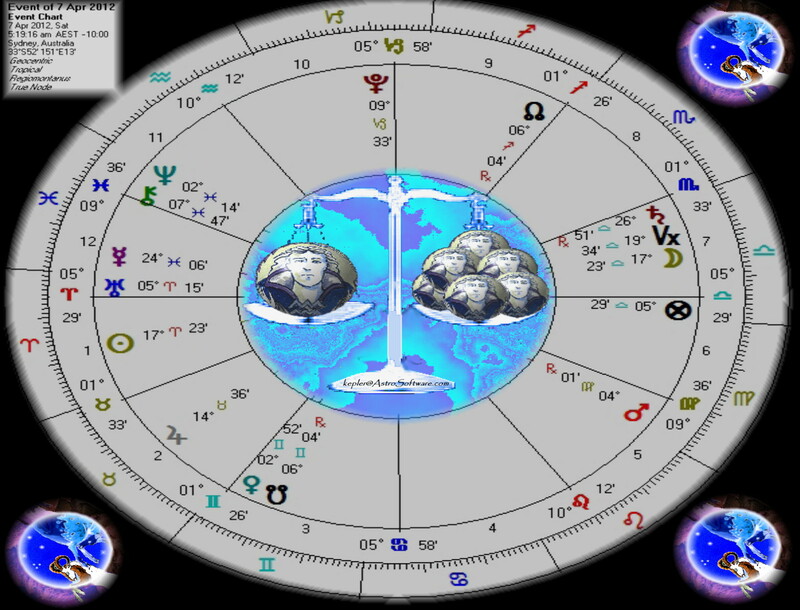 The Aries ingress chart (March 20, 2012) set for the capital Washington DC. This chart will again reinforce the earlier motions of the Sky Gods, self will and obstinacy is co-joined to a muddled contradictory mist of consciousness. Sudden and unexpected circumstances could cause states of tension and delays or setbacks. Feminie grief or anguish may emerge from external influences weakening the ability to go on. A brief period of stability may be felt around the later part of June, but this relief will be filled with heightened tension. From July 9th onward the eye of the storm passes overhead with the predicted gale reaching its maximum from July 14th onward. How much damage is inflicted during the remainder of year will depend on the will for life, are you a warrior. Welcome to 2012, my apologies for the absence and delay in my postings. I’ve just returned from the summer break and more recently the 19th FAA international conference, which was held in Melbourne, Australia. The conference was a great success. Many thanks to Brian Clarke and the dedicated organises. How delightful it was to reconnect with my dear friends Michael Lutin and ‘Demetra George, both who have given so much of themselves to the growth of personal and collective development. The Year of the Water Dragon – 23 January 2012 – 10 February 2013. While the Mayan Prophecies of 2012 are in the minds of all, take note of the many planetary movements in the heavens this year. These planetary rhythmically alignments will ensure a profound shift in Human consciousness. The slow and gradual shift of the Royal Watcher of the North, Regulus from the Constellation of the Lion to the Constellation of the Virgin, Virgo, will no doubt mark a deep meaningful transformation for all Organic life here on planet earth. Fixed stars take on average 2,160 years to move through one zodiacal sign. Since the advent of the Christian era (BCE/ACE -00) the Star has been in the Royal sign of Leo. The sign Leo is seen as a masculine hot dry and loud strong bestial sign, which is associated with Kings and Queens, quite different in nature to the Virgin, Virgo. The Virgin is seen as feminie and the essence of the Goddess of Harvest and purification. The Maiden of purity, clearness order, associated with fruitful and fertile womanly endeavours. 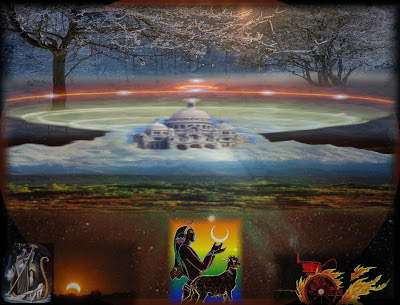 There is a paradigm of quintessential archetypical expression accruing on many levels here on earth, since we are in addition seen as slowly moving also into the so called Aquarian age, which takes many years to happen. And we are expressing through our everyday use of writing the numerical digit Two-2, as opposed to One-1. (1999-2000) This is another shift from the masculine dominant ‘I’ to the feminie expressed Two-2. Or it can be seen as the One-1-The Sun and Two-2-The Moon. 2012 is numerically expressed as; two, zero, one and two. When added and reduced is represented by the number five, which astrological is a (Hermes) Mercury ruled number. Expressing the energy of contestation, discursive reasoning, communication, accusation and lawsuits. The who’s right, and what do you know, child like negation, a looking for partnerships through mercantile activity. The year will present some difficult challenges as the last of the not easy square Cardinal planetary configurations finally brings things to ahead. Since Pluto entered Capricorn and Saturn into Libra world leaders have fallen, as I wrote would occur when Saturn entered Libra. 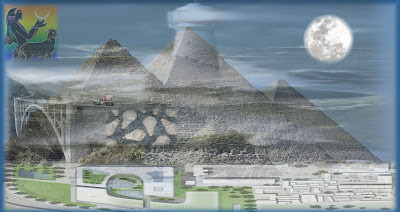 Financial reconstruction has not yet gone through the final stage, The Gates of Hades, the fires still need to do a finial cleans before a transformation has occurred. 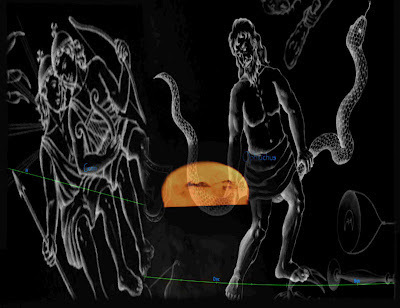 The first month of 2012 is marked by the station of Mars (Ares), which begins an 80 day retrograde cycle on January 23, 2012, with Mars direct on April 12, 2012. This is a longer than usual retro-cycle as Mars is in the Virgin, Virgo. When Mars stations in Virgo it is in its Aphelion (the point most distant with regrades to the Sun. The station degree 23 Virgo 05’ has Mars as the confine lord, which pretty much says that Mars can do has he likes, albeit in a Mercury way. As the lord or ruler of Virgo is Mercury. Poseidon, (Greek) Neptune (Roman) will enter Pisces on February 4th, 2012, for 14 years, this ingress will mark a significant change or shift in world consciousness. Neptune has a close association with the archetype of the Two Fishes. How the collective integrates this energy will be interesting to see! It’s been 165 years since the Lord of Thunder and Sea has transited the empathetic sign of the Two Fishers! One word of caution....when in the mist and fog don’t shine the light, as Light does not aid you in finding your way through miasma. Instead sound and vibration are the conductors through which you may navigate! Saturn will station on February 8th, which should manifest past decision of 2011, back in the public view. Mercury will make the first of its three stations for the year on March 12th,this will be a very intense time as the planet will be co-joined to Uranus. While there may be some innovative thoughts and plans from this meeting of minds, I feel this may be a very hostile period and much caution is need in any negotiation. on Saturday February 4th , I will post a link to the go-to meeting in the coming days.